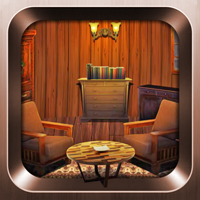 Description: 1611th-TRADITIONAL HOUSE is an interesting point and click type new escape game developed by ENA Game Studio. You are in a pursuit of collecting 21 Monstrances. Now you are in a father guest house which looks traditional and you need to collect another Monstrance from here. Click on the objects to interact with them and solve some interesting puzzles. Keep playing ENA games and have a happy Christmas.